Cliche for Valentine’s Day? Maybe. But I figured if we’re going to go for a holiday that doesn’t mean much but is also kind of fun we should just GO for it, right? I’ve never made duck at home before this. At least, I don’t think I have! After the lobster mac from last week I wanted to make something that was a whole dinner, felt decadent, but wasn’t too hard. For serious. I had it in my head that duck breast was either hard to cook or would take forever kind of like a braised meat, but it was much closer to cooking a chicken breast than I imagined. The difference is that you look the duck low + slow for a little longer than you’d do chicken in order to render the fat from the skin OUT. We safe the fat, btw. While the duck is working we’re boiling and mashing some super quick potatoes, then we flash-roast some Brussels in the duck fat (omg), throw some red wine sauce over the whole thing and find true love. This is your Valentine, is what I’m trying to say. 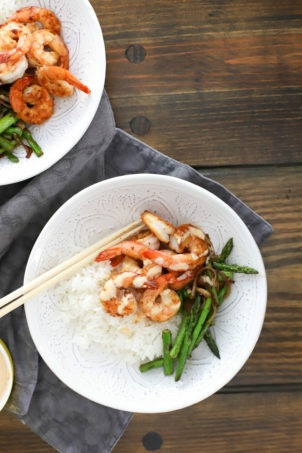 This entire meal can be made in under an hour. The key is to start with the potatoes, then prep the Brussels + preheat the oven while the potatoes are boiling, then start the duck, then finish the sauce super fast while the duck rests. You could also make the mashed potatoes earlier in the day and eat them up before dinner, but they’re super quick and don’t require much effort at all. 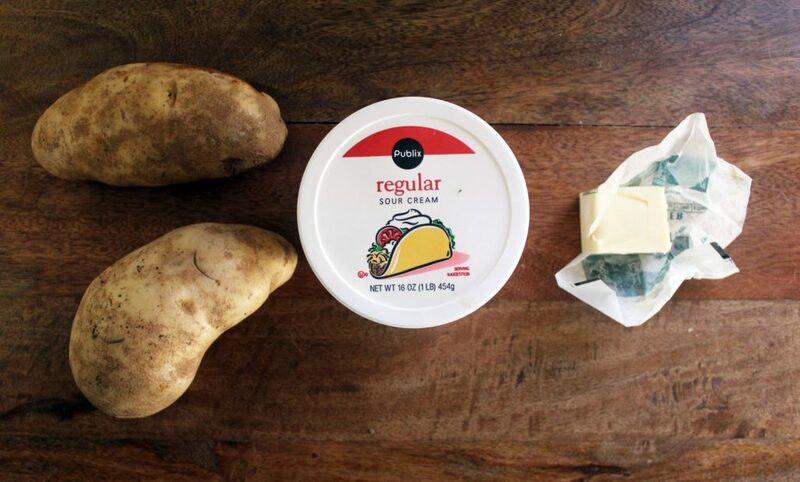 I use potatoes, sour cream, and butter. Maybe some milk if you like a thinner potato, and salt and pepper. I mostly peel the potatoes (leaving some skin on just for texture, flavor, and laziness), and cube them into a small dice, about 1/2 inch. Put the potatoes in a pot, cover them with water, and bring them to a boil with a few pinches of salt over medium-high heat. Boil the potatoes for 10 minutes, then drain them. 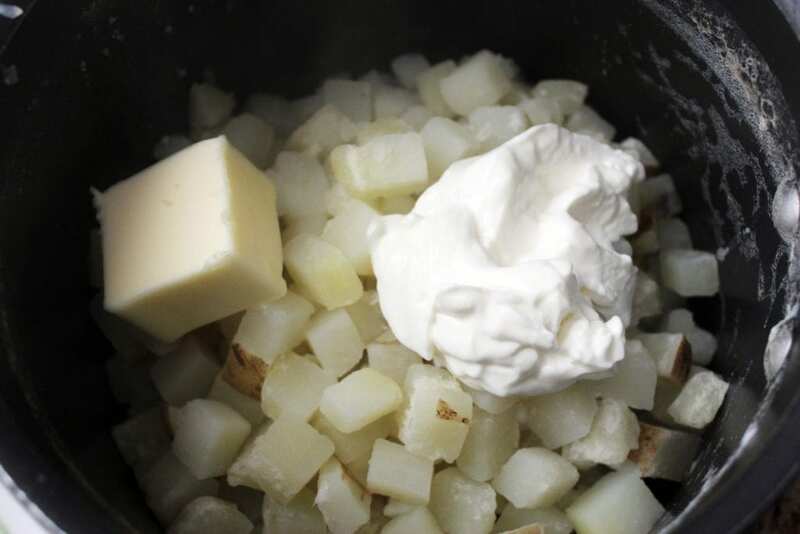 Put the potatoes back into the pot and add the sour cream and butter. 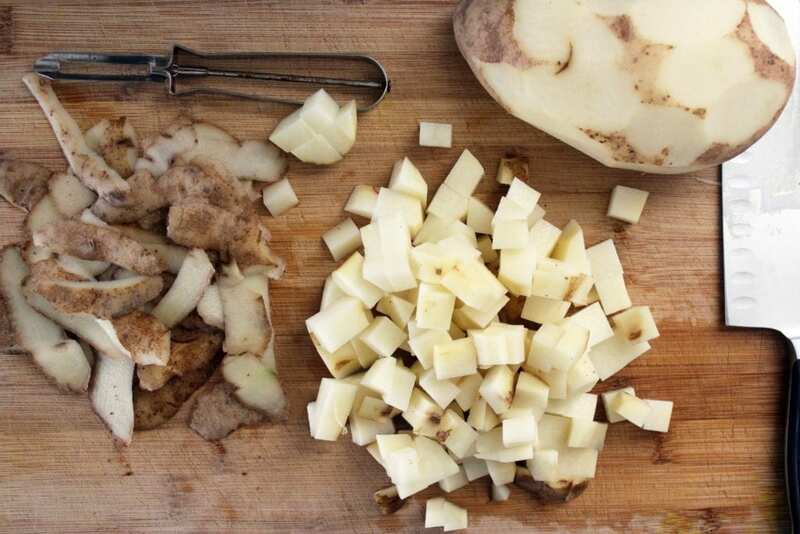 Use a potato masher to mash the potatoes, then add lots of salt and pepper. At this point you can leave the potatoes as-is or stir in some milk a little at a time to reach a smoother consistency. Don’t be shy with the salt and pepper – the potatoes should taste good on their own! 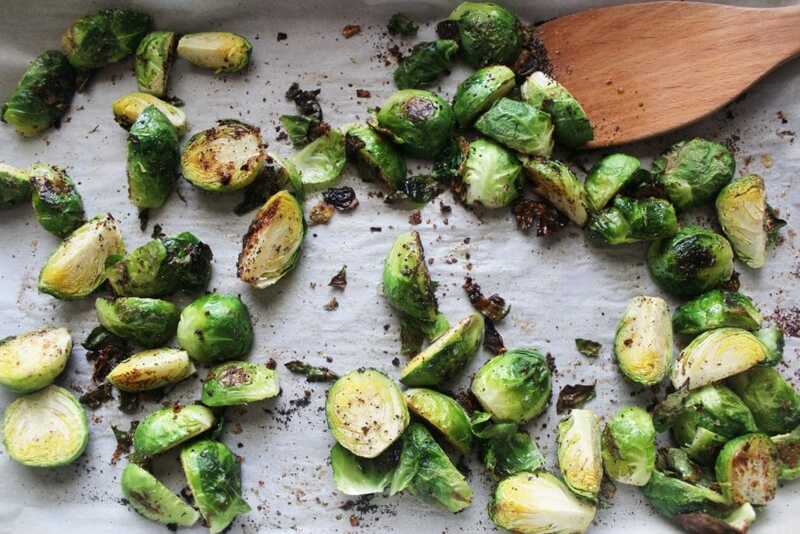 While the potatoes are working, preheat the oven to 450F for the Brussels sprouts. 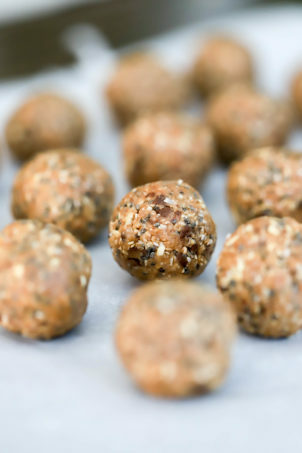 I use one pound of sprouts for 2 people and halve or quarter them so they become bite-sized. For flavor I use crushed red pepper, onion powder, garlic powder, honey, salt, and pepper. FYI Jay came up with this seasoning mixture and it is ridiculously good. Spread the sprouts on a baking sheet and sprinkle them with the seasonings (everything except for the honey), then let them hang out while you start the duck (since these cook in duck fat). Remember you’re working on the potatoes while this is happening! Now. Duck! The main event. 2 duck breasts, about 5 ounces each, with just salt and pepper for seasoning. The sauce is red wine, butter, and nothing else. 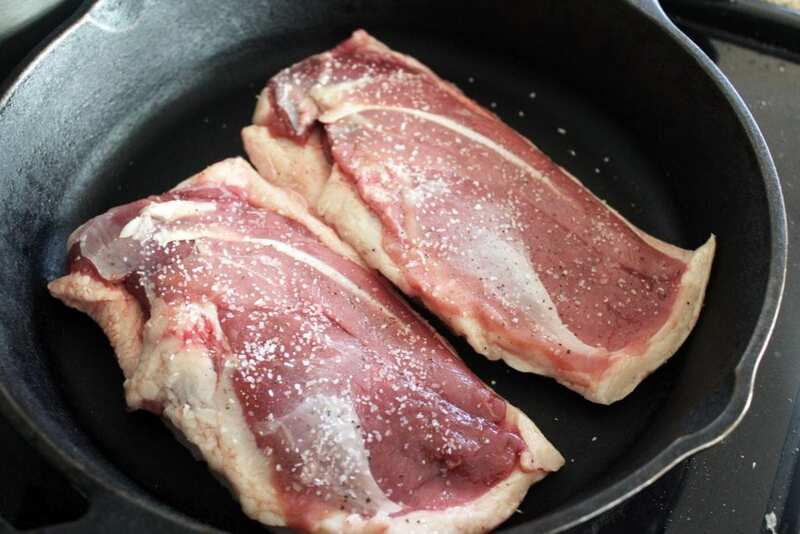 First, use a sharp knife to score the duck skin and fat (without cutting into the flesh) in a cross pattern, then sprinkle the duck on both sides with salt and pepper. 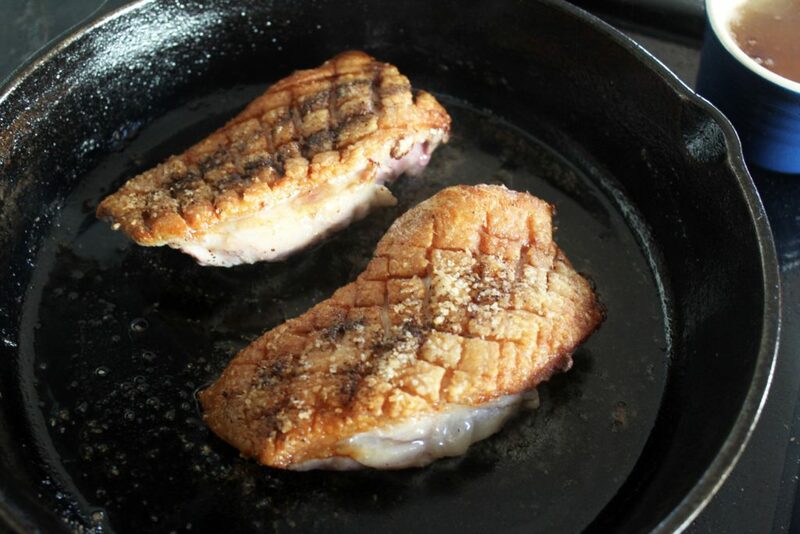 Place the duck skin side down in a cold pan with no other fat, then turn the heat to medium. After about 5 minutes, the fat will start to render from the duck skin. Use a spoon to remove the fat as it renders. 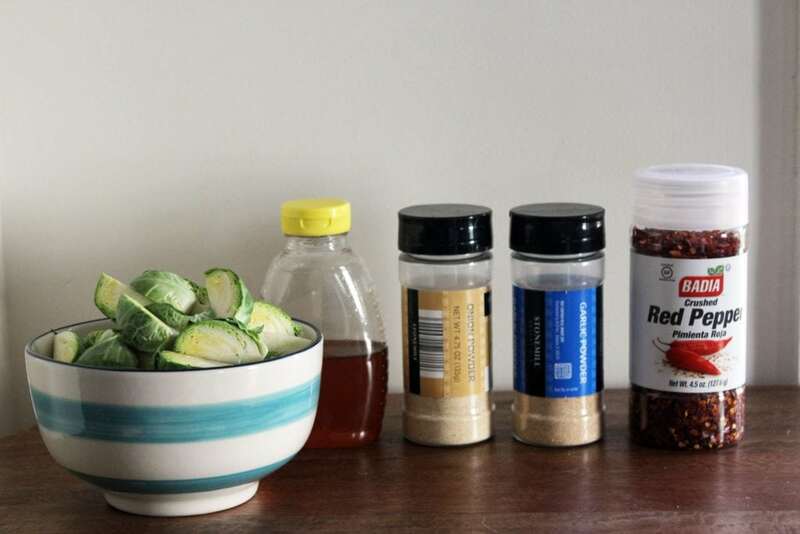 You’ll use some of it for the sprouts and save some of it for anything else. Keep spooning out the fat from the duck pan, but don’t move the duck otherwise. 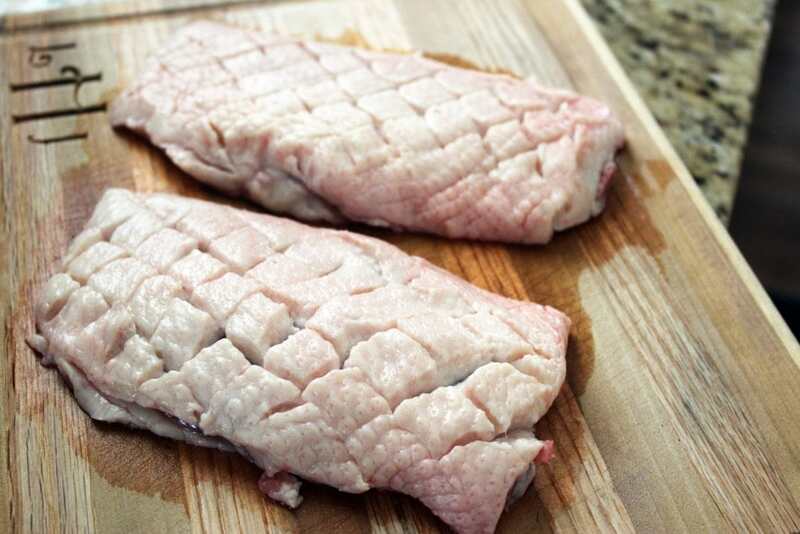 After 12 minutes, check the duck skin – it should be thin and crispy since most of the fat has rendered out. If the skin isn’t very brown yet, let it cook for another 2-3 minutes, but not more than 15 minutes of rendering the duck fat. When the skin is browned and crispy, flip the duck. Cook for one minute more, then turn the heat off the pan. Wait one minute, and remove the duck breasts to a plate to rest. This will yield medium-ish duck, depending on how long you render the skin and how thick your pieces of duck are. 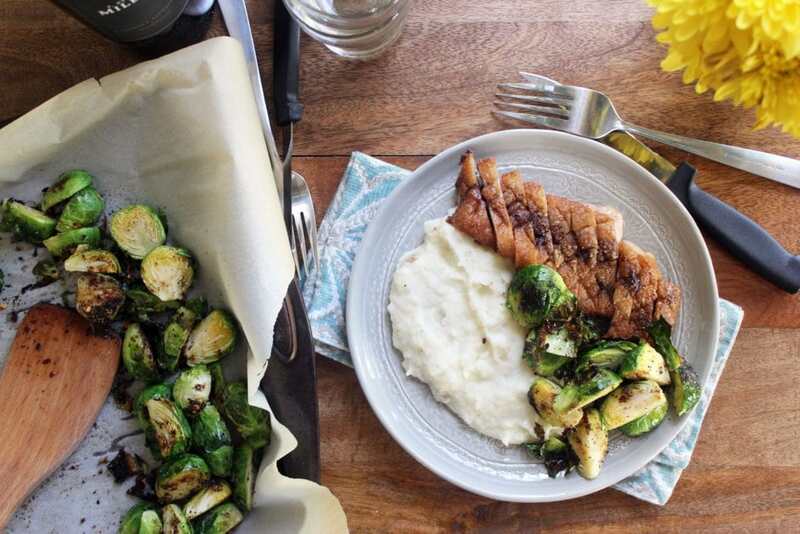 As soon as you put the duck out of the pan to rest, drizzle 3 tablespoons of the reserved duck fat over the Brussels sprouts and put them in the oven. 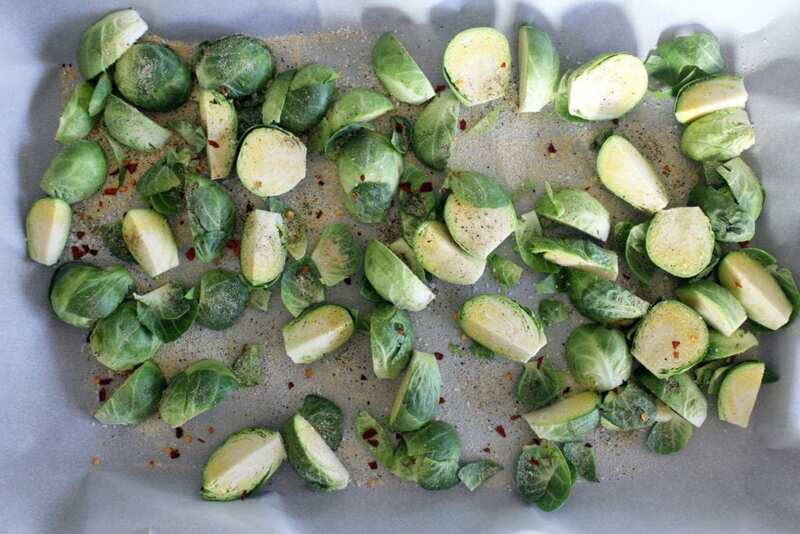 Roast the sprouts for 10 minutes until they just become dark at the edges and tender. Take them out of the oven and immediately toss them with the honey. While the Brussels are roasting, pour all but a few spoonfuls of duck fat out of the skillet – reserve it for roasting veggies or searing chicken next week! Turn the heat to medium and add the wine. 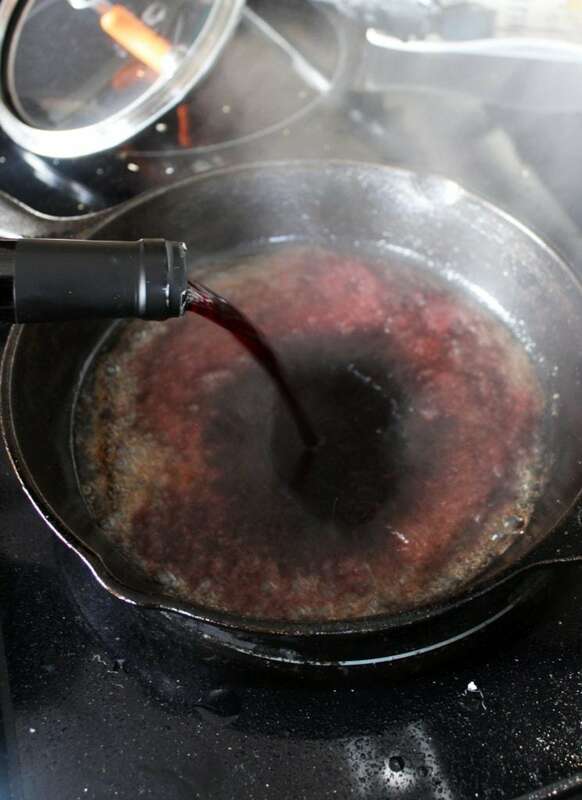 Let the wine reduce by half or slightly more (you just need a few spoonfuls of sauce), then turn the heat off the skillet again. 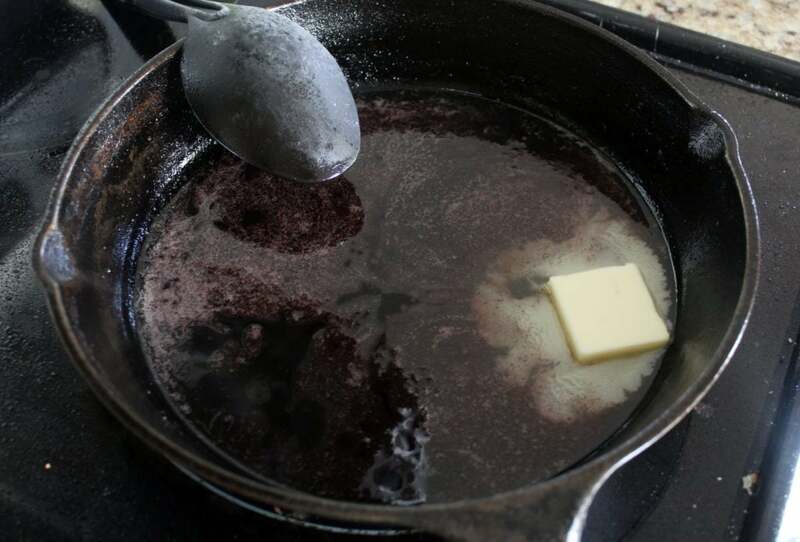 Stir in the butter. Now! 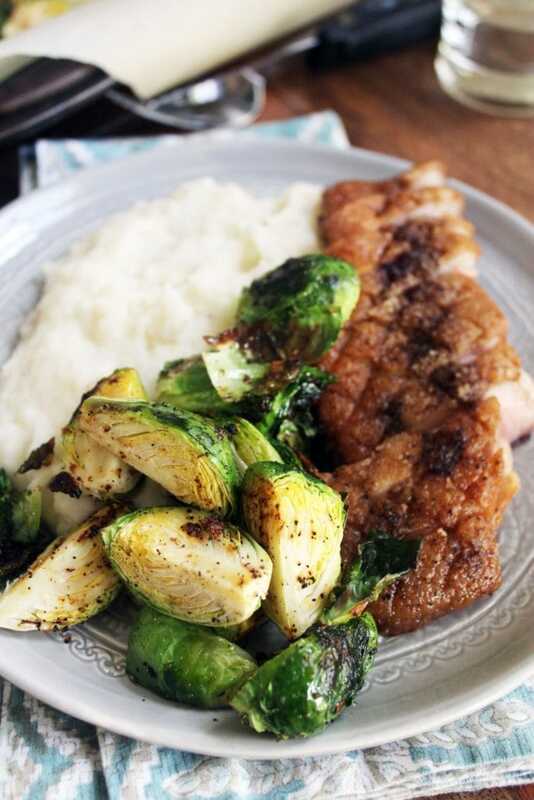 We have mashed potatoes, Brussels tossed in honey, and a wine pan sauce. The duck should be still warm but not hot and well-rested (that phrase makes me literally jealous of the duck). Slice it into thin slices. Then serve! Potatoes, Brussels, duck, wine sauce. This method for duck worked so well, I think it’d be great with Asian or Italian flavors with different sides. 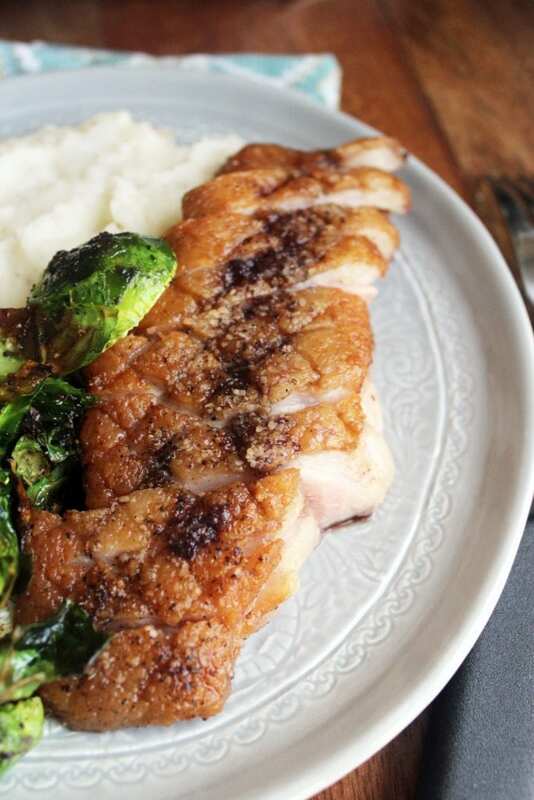 Plain though with just the red wine sauce is delicious, and the Brussels sprouts are going to make you want to keep a tub of duck fat in your fridge. Preheat the oven to 450F. Place the potatoes in a small pot and cover with water by about 3 inches. Sprinkle some salt in the pot. Bring the potatoes to a boil and boil uncovered for about 10 minutes until very soft. Drain, then return to the pot. 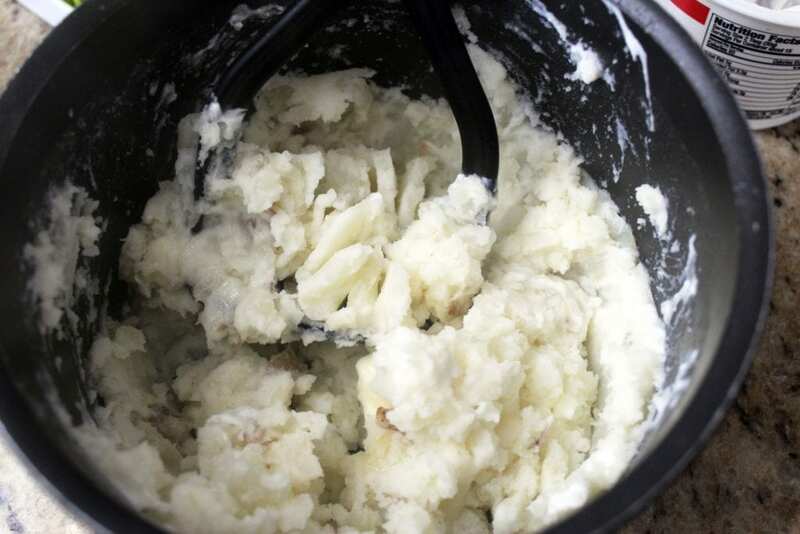 Mash the potatoes with lots of salt and pepper, the sour cream, and the butter. 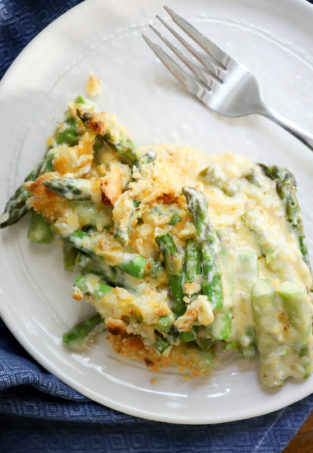 If you'd like thinner potatoes, add splashes of milk and stir to reach a consistency that you like. 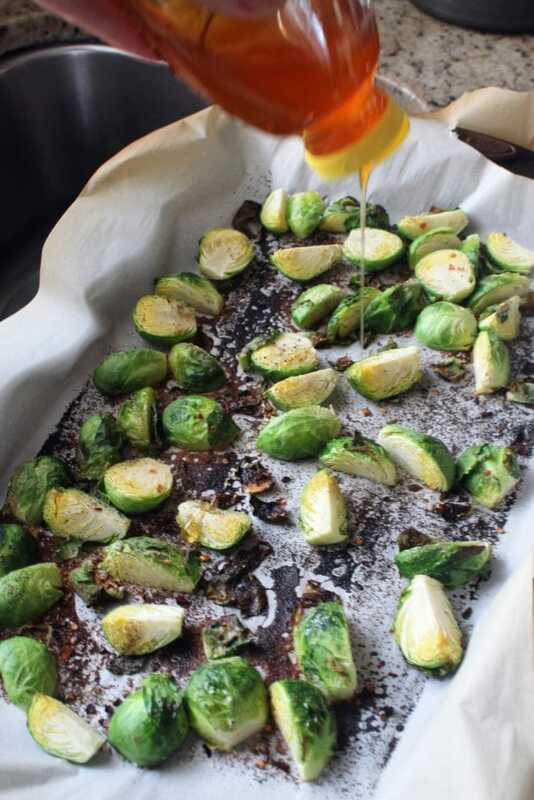 Meanwhile, arrange the Brussels sprouts in one layer on a large baking sheet. Sprinkle with lots of salt and pepper, the onion powder, and the garlic powder. 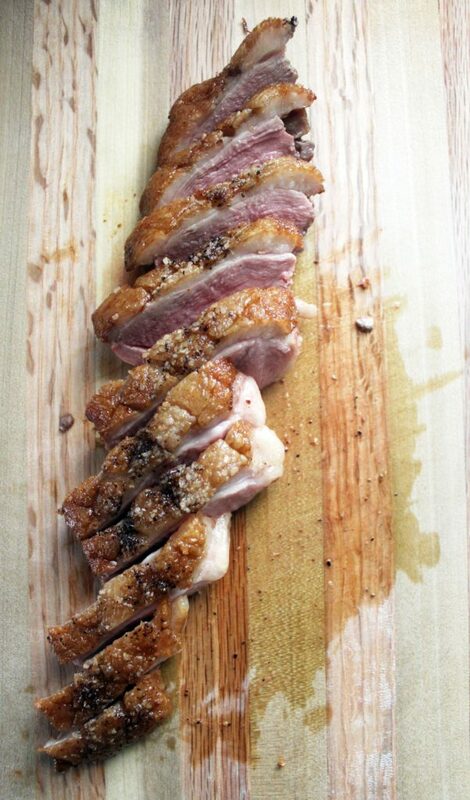 Score the fat and skin of the duck with a very sharp knife in a cross pattern. Cut through as much of the fat as you can without piercing the flesh. 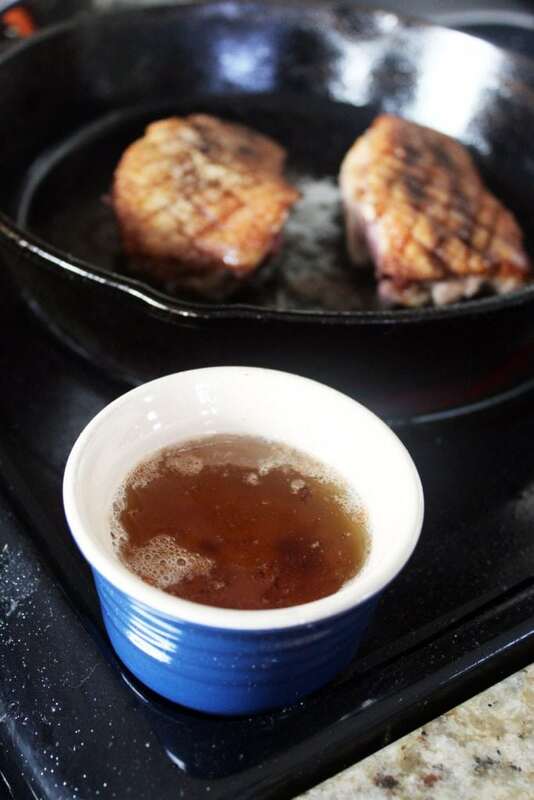 Sprinkle the duck on both sides with salt and pepper, and place skin side down in a cold pan. Turn the pan to medium. Let the duck warm slowly and start to cook. The fat will render and release from the skin. 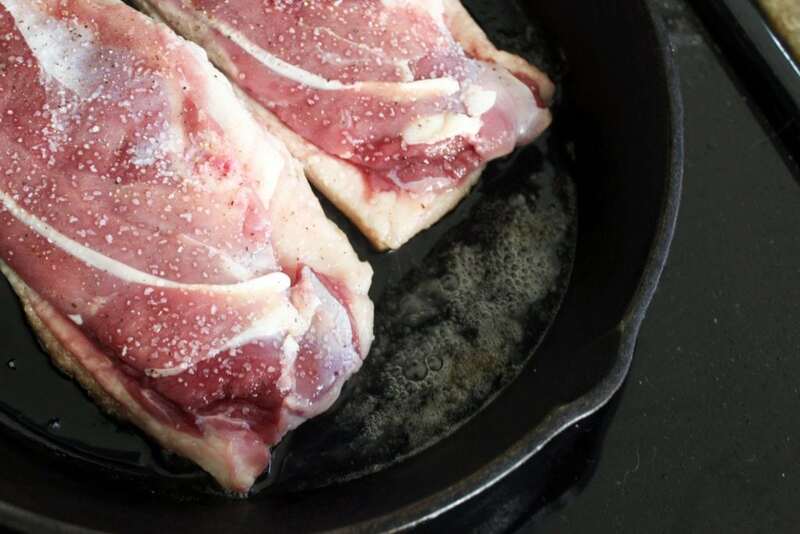 As that happens, tilt the pan and spoon out most of the duck fat (you'll do this a few times), leaving only a thin layer in the bottom of the skillet. Let the duck render on the skin side for 12-15 minutes until the skin is thin, crispy, and brown. Flip the duck at let cook for 1 minute on the flesh side. 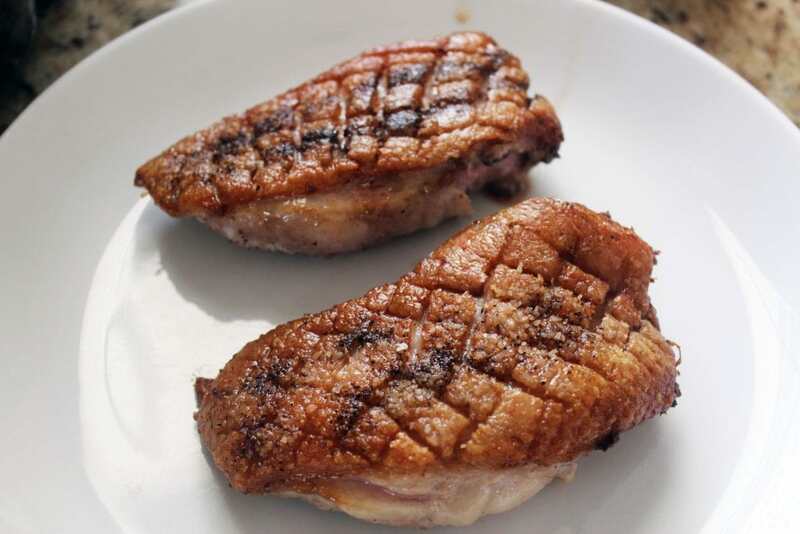 Turn the heat off the skillet and let the duck sit for 1 minute more, then remove to a plate to rest. Drizzle 3 tablespoons of duck fat over the Brussels sprouts. Roast them at 450F for 10 minutes until they become tender and brown at the edges. 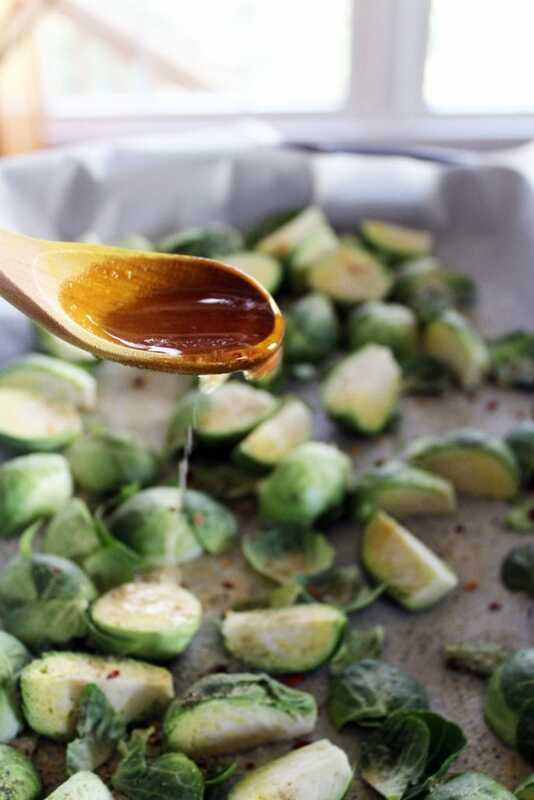 Remove the sprouts from the oven and drizzle with the honey. Toss while hot. To the skillet that you used for the duck, turn the heat to medium and add the wine. Let bubble and reduce by about half, then swirl in the butter and turn the heat off the skillet. 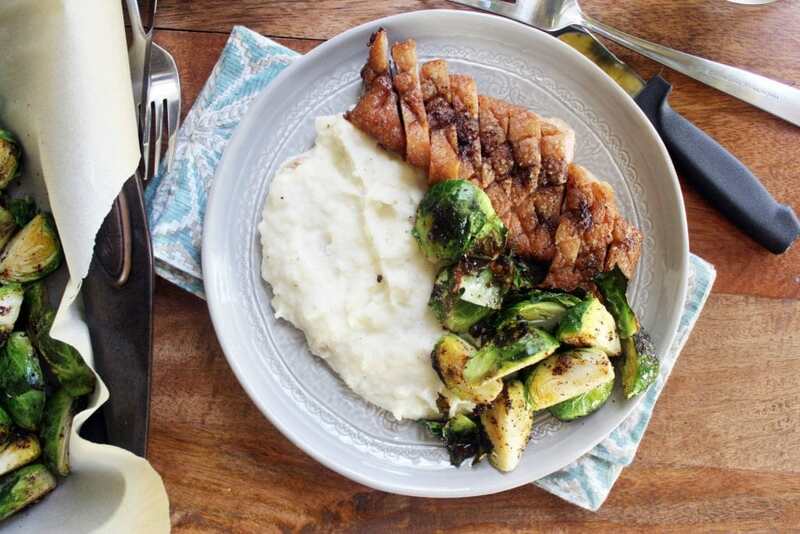 Thinly slice the duck breasts and arrange on plates with the potatoes and sprouts. 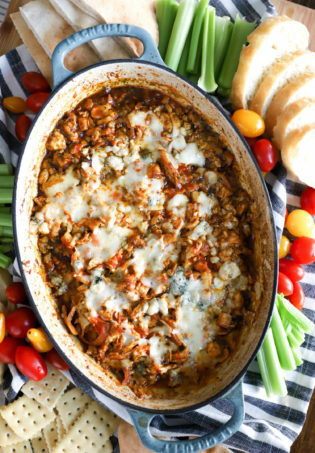 Drizzle with the red wine sauce and eat! Save any extra duck fat for roasting other potatoes or veggies this week! It keeps in the fridge just like butter.